Not just 6 million Jews, but approximately 18 million noncombatants perished in the Nazi Holocaust. This number does not include casualties sustained in armed combat during World War 2. For perspective, 18 million people amounts to approximately half the total, current population of Canada. Concerning the Holocaust, some say we should forgive, forget and focus on the future. But a respected Bible scholar has said at least three good reasons exist never to forget the Holocaust: (1) It really happened; (2) it happened recently; and (3) it could happen again. The Holocaust is a product of revivalist Christianity gone horribly awry. Historically, major sweeps of anti-Semitism have sometimes followed Christian revivalist movements – if those movements morph into nationalism. The most tragic example is that of the Holocaust. Recall that after the revivalist movement known as the Great Reformation, most German churches continued adhering to anti-Jewish replacement theology. Sadly, the Great Reformer Martin Luther had penned viciously anti-Jewish teachings, despite his profound insights on salvation by grace through faith. Therefore, to gain support for his genocidal, nationalist campaign, Hitler had only to quote Luther to the German Church. With only a remnant of true believers opposing a murderously anti-Jewish regime, the Nazi Holocaust tragically occurred in a so-called Christian context. 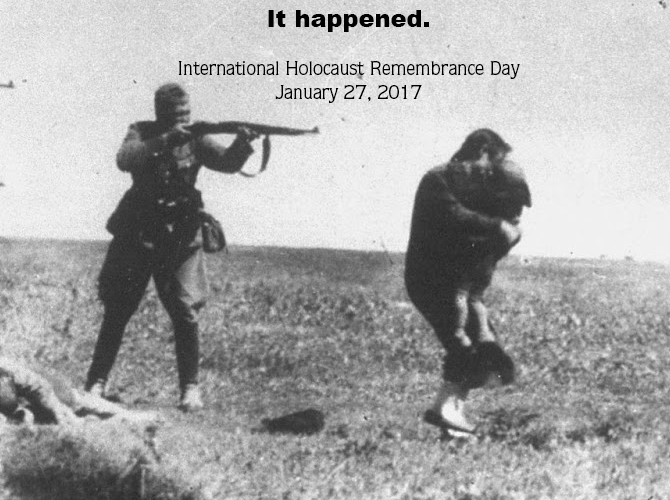 Let us resolve this history will not repeat on our watch, and especially not in the US, where so many Jewish people still live. In recent years, some prophetic Bible believers have said they foresee murderous anti-Semitism sweeping the US in the not too distant future. Others are saying God will grace America with a period of spiritual revival under her newly elected, potentially more righteous president. The two possibilities are not necessarily inconsistent with each other. What happened in Germany could happen elsewhere, even in America. Again, that is why we must learn from the past. Thankfully, God is healing Israel from some of the evil effects of the Holocaust. One of those effects has been a deeply penetrating disdain of Christianity. But things are changing. This month, for example, the country is hosting a cultural reclamation of Jesus the Jew. The Israel Museum of Art is sponsoring a special display of sculptured images and paintings of Yeshua created by Jewish artists through the centuries. What is unique is that this is not a marginalized Messianic event, but an official and mainstream display. Though largely unnoticed outside of Israel, the exhibit represents a spiritual breakthrough the likes of which we have not seen. It does reflect what we have personally observed: that Israelis are increasingly interested in re-discovering the formerly taboo person of Jesus. And they want to know Him as a Jew. Please pray with us that God will use the art exhibit to begin to restore the true face of Yeshua to His people. May those who view the exhibit blink and look again at the image before them of their brother according to the flesh. May God enable them to see beyond paint and stone to the reality of a living, loving Messiah. On the heels of International Holocaust Remembrance Day, we celebrate the new biblical month of Shevat on January 28. Shevat is said to be the month of renewal. With January 28 also ushering in the Chinese New Year, we pray special blessings on all our Chinese Christian friends. Sources: US Holocaust Museum, ushmm.org; Times of Israel, http://www.timesofisrael.com/at-israel-museum-exhibit-jesus-comes-back-to-the-jews/; Worldometers, www.worldometers.info/world-population/canada-population/.